Recess by Narciso Desmadryl from Perkins Bacon Plates 1854 (Jan-Feb): 5 c. pale reddish brown, wmk. pos. 1, fresh and very fine unused example with margins all round, of lovely delicate colour, without gum. 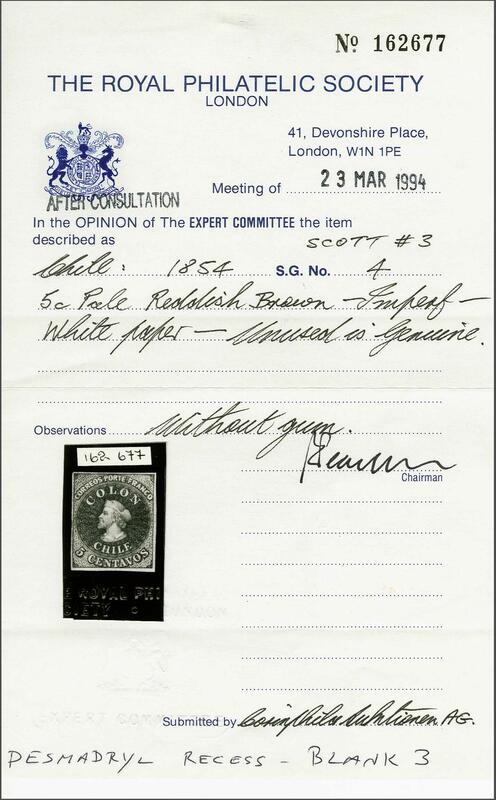 A scarce and most attractive stamp. Signed A. Diena. Cert. BPA (1996) Gi. 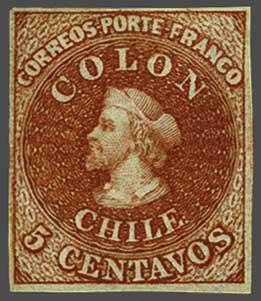 4 = £ 850+/Scott = $ 600.rnProvenance: Collection Joaquin Galvez, Corinphila sale 62, May 1979, lot 3141; Corinphila sale 90, Oct 1994, lot 6310.